If you're in too much of a hurry to read our student recipes (and because you've just heard Pringles are on special offer in Sainsburys), jump straight to our jobs page! Then go get the Pringles. Ready to learn some awesome student recipes? Spaghetti bolognese is the dream, but nobody wants it for dinner every night for three years. If you think you need to up your game in the kitchen, read on. 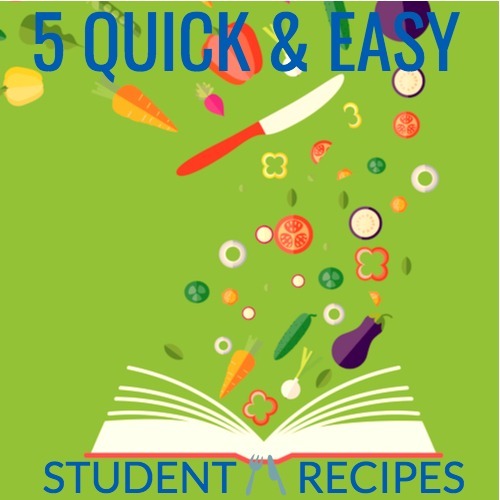 Below you can find a list of student recipes, all of them quick, cheap and easy to make. Whether you're looking for easy recipes for lunch or dinner, one of these will be sure to take your fancy! ...or they're perfect student recipes for one, but with lots of extra leftovers! 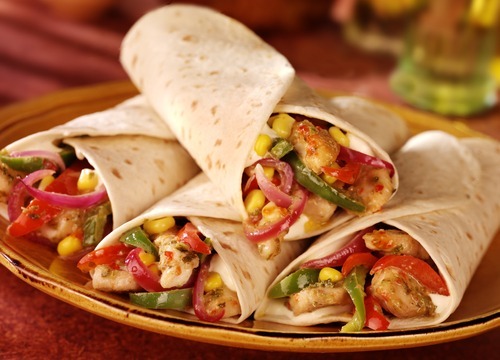 Fajitas are one of the best Mexican dishes out there, to make things even better they’re actually fairly easy to cook and can be relatively inexpensive! STEP 1: Cut up the peppers and chicken into strips along with the onion. STEP 2: Put the chicken, onion and peppers into a bowl along with the cumin, paprika, chilli powder, black pepper and 1 teaspoon of olive oil. Mix it all together. STEP 3: Heat the other teaspoon of olive oil on a pan at a high temperature. STEP 4: Add the chicken, peppers and onions to the pan for 7-10 minutes, keep stirring them so they don’t get burned! STEP 5: Remove from the heat and serve with plenty of cheese, salsa, sour cream and most importantly the guacamole. This is a classic combo and is very affordable making it ideal for those of you who are finding it hard to stick to the weekly budget! STEP 1: Preheat the oven to 200c/180C Fan. STEP 2: Heat up a frying pan, once it’s hot add the sausages and cook for 6-8 minutes until they are evenly coloured. STEP 3: Add the onion along with the garlic and dried herbs, cook for another 5 minutes stirring every now and then. STEP 4: For the topping of the pasta bake, tear the bread into small crumbs and mix it with the parsley. STEP 5: Add the butter beans, tomatoes and chicken stock to the pan. Mix everything together and add some salt and pepper. STEP 6: Move the contents of the pan into an ovenproof baking dish. STEP 7: Sprinkle the breadcrumbs over the stew and put it in the oven for 25 minutes. 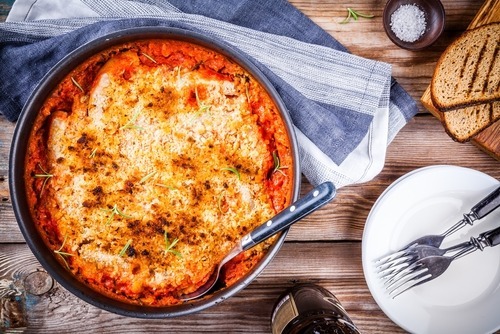 This tasty little number is perfect for those cold winter nights when you’re after a quick meal. STEP 1: Stick a splash of oil in a frying pan and heat it up. STEP 2: Add the onions to the pan. STEP 3: Place the chicken in the pan and fry it off til the meat is white on the outside. STEP 4: Then add in the Thai green curry paste, don’t forget to make sure the chicken is well coated! STEP 5: Add in the coconut milk and he peppers and turn the heat down low. STEP 6: Next you need to add the rice into a pan of boiling water and leave it for around 15 minutes to cook. STEP 7: When the rice is ready remove it from the boiling water and serve up your masterpiece! 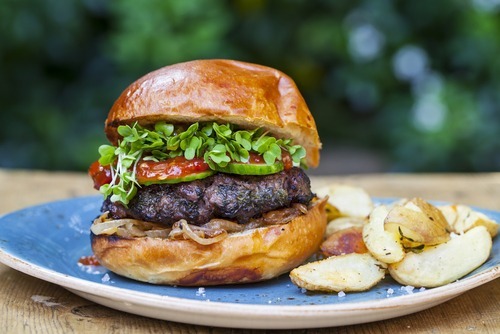 Burger and chips may seem like nothing special, but by making it all yourself you can look like Gordon Ramsey in-front of your housemates instead of just using a frozen one from friendly old Captain Birds Eye. STEP 1: Finely dice up the onion and put it in a big bowl. STEP 2: ​Chuck in the mince. STEP 3: Don’t forget about the egg, crack that bad boy in there too. STEP 4: At this point it’s up to how adventurous you’re feeling… you can add in all sorts from salt & pepper to chilli powder or even some cheese (we recommend some Feta cheese). STEP 5: Mix everything together in the bowl. STEP 6: Scoop out a helping of the mix from the bowl and use your hands to roll it into a ball, then don’t forget to flatten it into a patty. STEP 7: Place on a greased baking tray and cook in the over or use a grill (don’t forget to turn halfway through if you do this though). STEP 1 : Wash your potatoes before cutting them up into wedges. STEP 2: Grab yourself a plastic sandwich bag and dribble some olive oil in there. STEP 3: Then add in the wedges and the spices/herbs. STEP 4: Then tie a knot in the bag and shake it to ensure that all the wedges get covered in seasoning. STEP 5: Then whack them in the oven at a high temperature for up to 30 mins depending on how good your oven is and how crispy you want them. 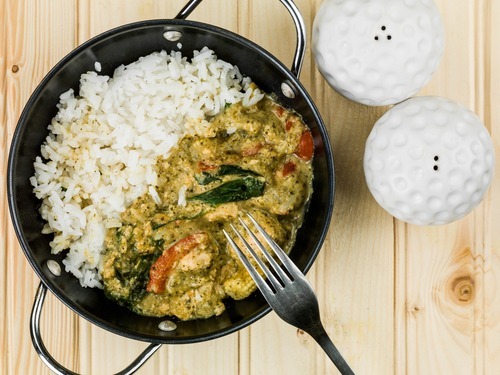 Here's a great vegetarian student recipe, which warms the soul with the curry sauce (and spiciness) of your choice! STEP 1: ​Chop up the sweet potatoes into chunks and boil them in a pan. 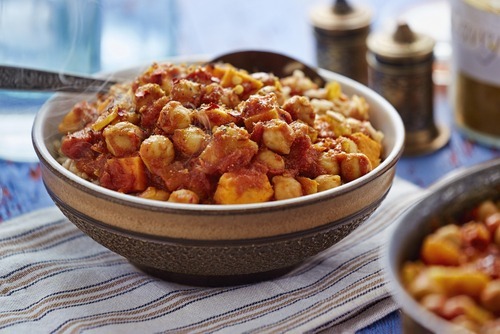 STEP 2: Empty the can of chickpeas into another pan and cook them on a medium heat. STEP 3: Chop up the mushrooms too and fry them at a low temperature. STEP 4: Don’t forget to cook the rice too! STEP 5: Take the chickpeas off the heat and and add to the mushroom pan. STEP 6: ​Once the sweet potatoes have boiled add them to the pan. STEP 7: Pour your curry sauce of choice over the mixture and let it simmer for 10-20 minutes. These student recipes will ensure you are well-fed, and the envy of all of your friends and enemies at university. So jealous will they be, friends and foes alike will plan a heist to thieve your ingredients and cooking utensils. Others will follow you around Sainsbury's, watching closely what spices you select. Stir their jealousies even further, and find yourself a summer internship with one of the UK's top employers. There are vacancies in the banking, tech and science sectors, so get clicking on the button below, and see what opportunities are available.